Welcome to the CLS Associates. Location, Location, Location. 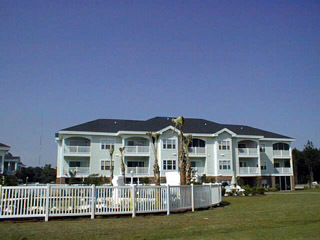 We have it Myrtlewood and Arrowhead Golf Course. Beautiful two-bedroom condos for rent. Check us for availability, pricing, activities and the weather. We are located in the center of Myrtle Beach, a perfect location for families, golfers or senior citizens who want to enjoy the weather of South Carolina. We provide the complete package for owners as well as vacationers who want to be treated with some of the finest condos in Myrtle Beach. We also specialize in creating custom web sites that will help you to bring attention to your rental property. We offer a variety of options and are willing to do whatever it takes to meet your needs. All you need to supply is the content for your website (photos, text, etc....) and we take care of he rest. You can send us an email at clsassoc@hotmail.com.